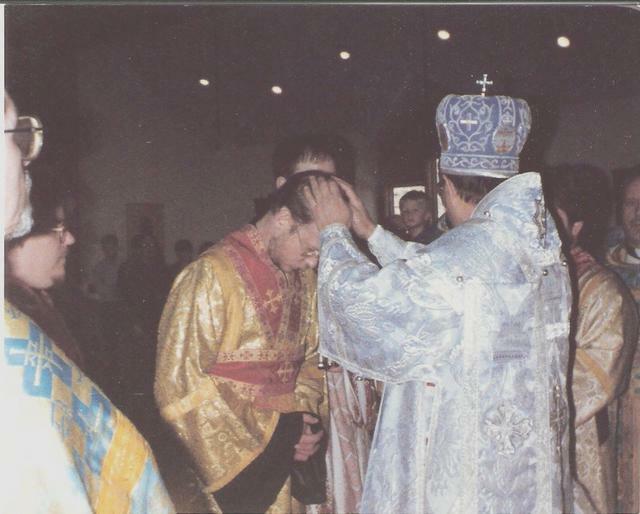 Fr Paul was ordained by His Eminence, Archbishop Job (at that time, he was His Grace, Bishop Job, Bishop of New England) on the Feast of St John the Baptist, June 24, 1988. 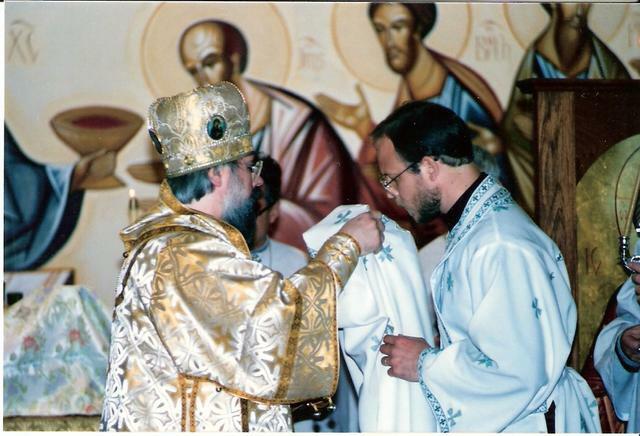 Fr Paul had been ordained to the diaconate a few months earlier, on March 25th by Metropolitan Theodosius. 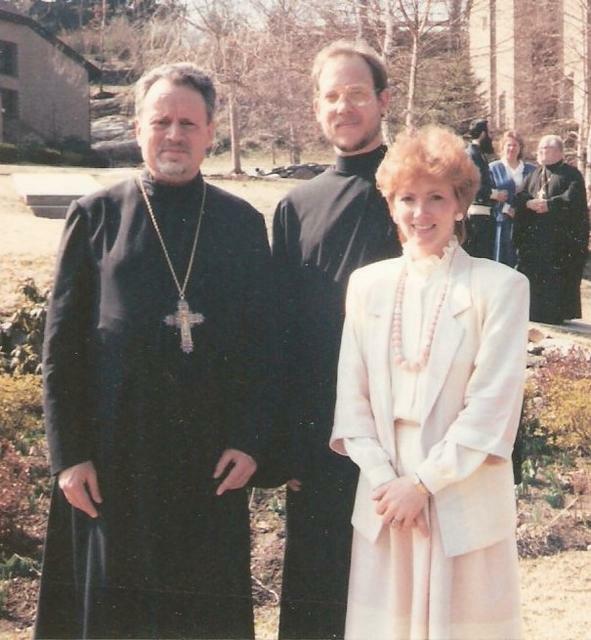 Fr John Meyendorff with the newly ordained Deacon Paul and his wife Nancy: March 25, 1988, outside Three Hierarchs Chapel at St. Vladimir's Seminary. Their Parish Priest, Fr Tom & Matushka are in the background. 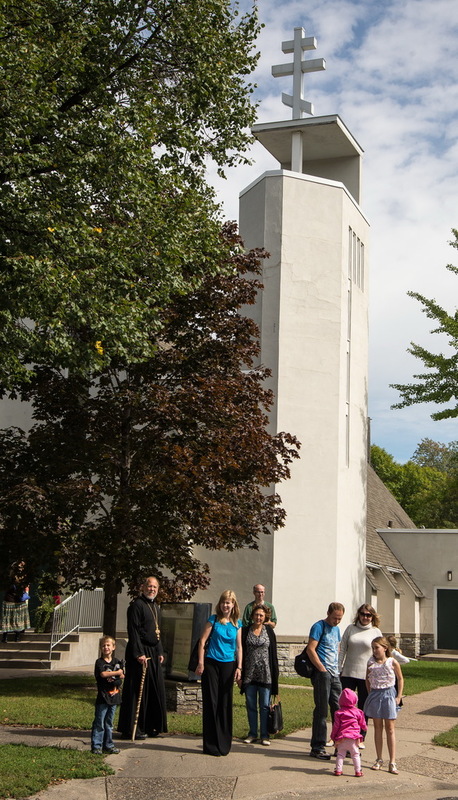 Only five years earlier, Fr Paul - at that time, Kenneth, or Ken - his wife, Nancy, and their two children, Sean and Christina, had been received into the Orthodox Faith at Holy Apostles in Saddle Brook, NJ, under Fr Thomas Edwards. Ken was received under the protection of the holy apostle Paul, Nancy under the protection of St Anastasia, Sean under the protection of the holy apostle John, Christina under the holy Archangel Michael (Christina Michelle). Fr Paul, or rather Ken, had recently been awarded an M.Div. degree from Nazarene Theological Seminary in Kansas City, MO (1986). Having been introduced to the Cappadocian fathers at NTS, he came to New York to pursue a Ph.D. in the area of Greek patristics under Fr John Meyendorff at Fordham University in The Bronx, NY. 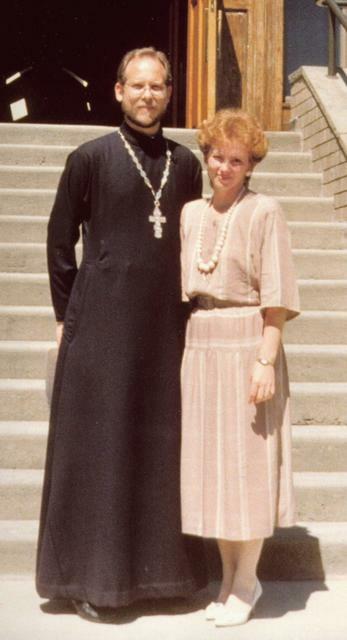 He was taking most of his patristics classes under Fr John at St Vladimir's Seminary in Crestwood, NY. In the course of his studies at Fordham and St Vladimir's Seminary, of course Ken and Nancy discovered the Orthodox Church in America. Already, they had fallen in love with Orthodoxy - Ken through his study of the Greek fathers and his reading of books by Fr John and Fr Alexander Schmemann; and Nancy through her reading of "The Monk of Mt Athos." Discovering the OCA meant for Ken and Nancy that there was no reason not to become Orthodox. It meant they could remain American and still become Orthodox. 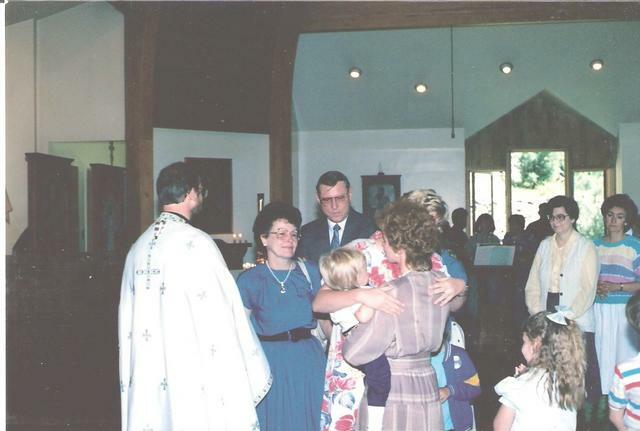 In love with Orthodoxy and with the vision of the OCA, Ken and Nancy and their two children were received into the Orthodox Faith on Christmas, 1983. Ken had no interest, no desire to be ordained a priest. But in the Winter of 1988, Fr John brought Ken into his office and told him, that if he was willing, he would be ordained to the diaconate and then to the priesthood. 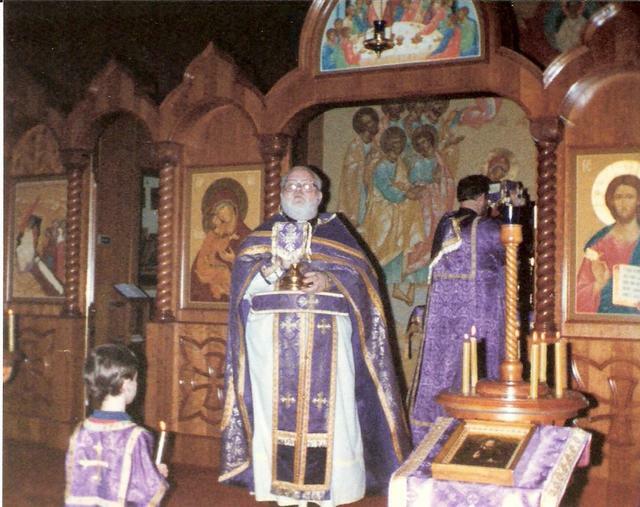 Serving as a Deacon at a Pre-Sanctified Liturgy during Great Lent, 1988, with Fr Tom Edwards. The altar boy is Sean! Ken was awarded the Ph.D. in 1986. 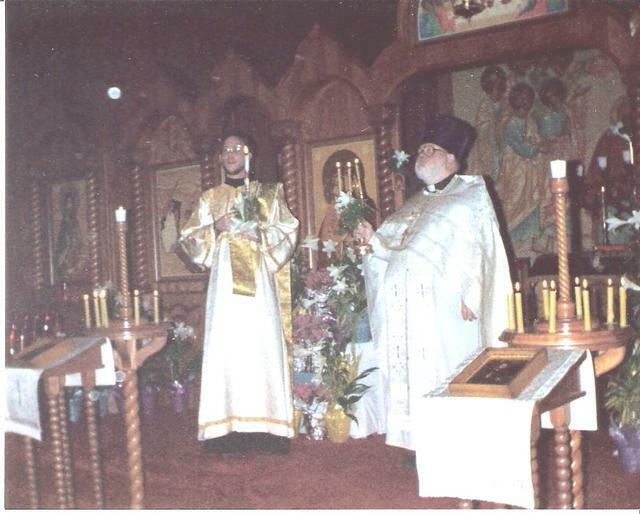 Fr John then urged him to get a degree from an Orthodox institution, i.e. SVS. He received the M.Th. from SVS, May, 1988. 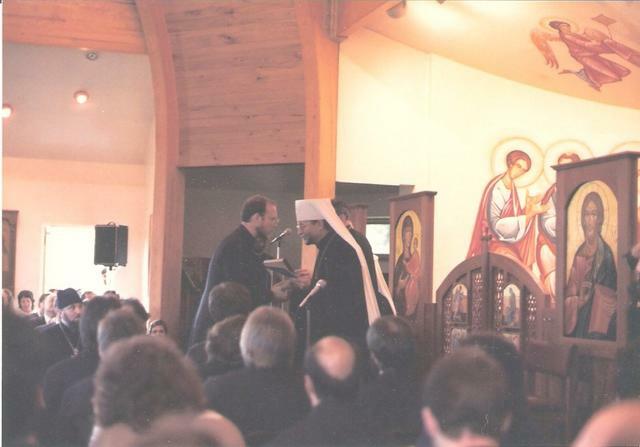 Here, Metropolitan Theodosius hands him his diploma. Ken - as did so very many others - held Fr John of blessed memory in the highest esteem and affection. Fr John's news hit him like a thunderbolt. Ken could hardly speak. He discovered at that moment in his heart an earnest desire to serve Christ's holy Church as a priest; and yet, he felt an acute sense of unworthiness; and yet, the Church - so his very dear pastor, Fr Tom assured him - was calling him. No answer was thinkable but, "Let God's will be done." 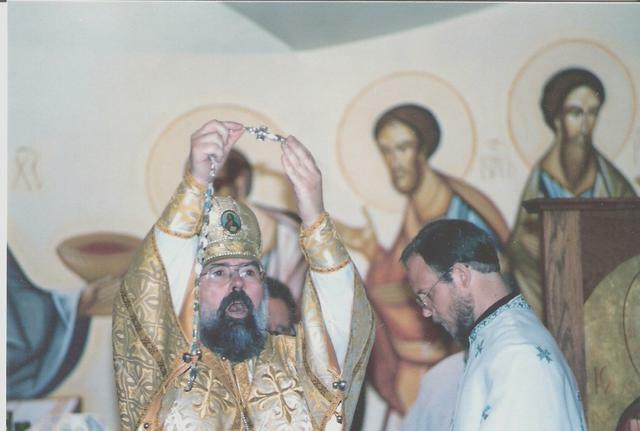 Ken was ordained as Fr Kenneth Paul in Three Hierarchs Chapel at St Vladimir's Seminary by then Bishop Job on June 24, 1988, the Feast of the Nativity of John the Baptist. Ken's Mom and Dad were there, and one of his two sisters. All were deeply moved by the beauty and significance of the ordination service. 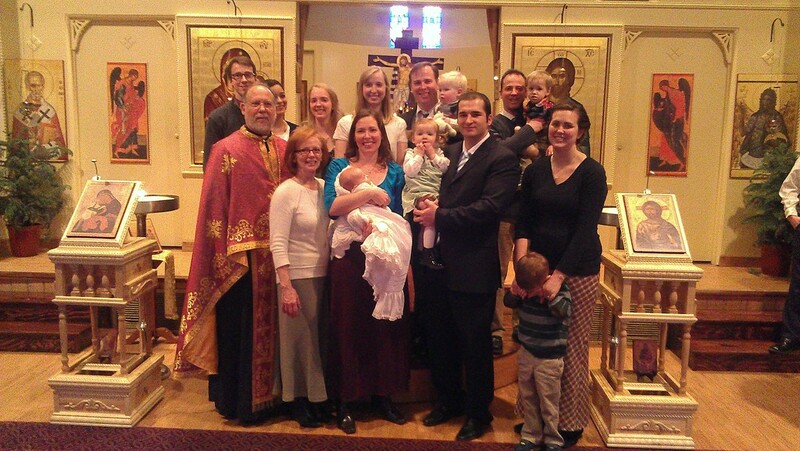 Fr Paul & Presbytera's Family Now. Five kids, 80% married, and five grandchildren and three more in the oven.